It was not the game Zidane was expecting one week ahead of El Clasico, but at the end of the day, Real Madrid still grabbed the 3 points and will keep their comfortable distance to Barcelona. 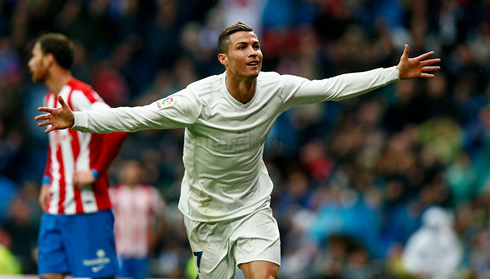 The Merengues defeated Sporting Gijon 2-1, with two goals from Cristiano Ronaldo. 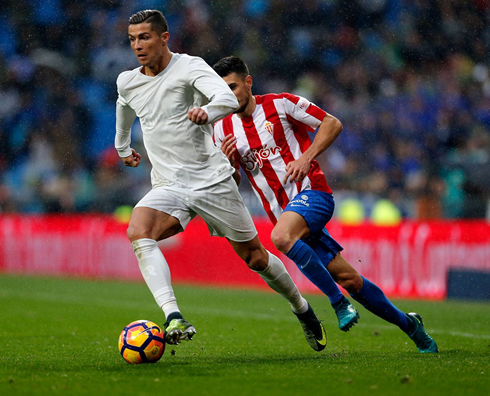 The 3 points stayed at the Bernabéu, but Real Madrid struggled a lot more than one could expect in their 2-1 home win this Saturday afternoon against Sporting Gijón. 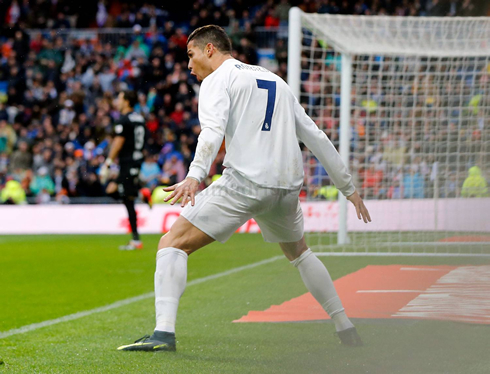 With Gareth Bale injured and unavailable to help the team until January or February of 2017, it was Cristiano Ronaldo who stepped up and scored the two goals for the Merengues. He scored the first from the penalty spot on the 5th minute and then, around the 18th minute of the first half, he added a second to the scoresheet with a great header. Sporting Gijón reacted well though and after reducing the lead back to 1 goal, they still earned a massive chance to get the equalizer from the penalty mark with just 12 minutes left on the clock. Fortunately for Madrid, Duje Cop missed the target and the Merengues held on to the lead until the end. 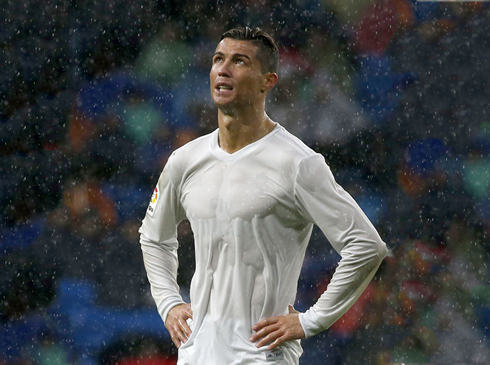 Real Madrid were meant to work for their victory today a bit harder than they liked, but still, they got the job done defeating Sporting Gijon 2-1 in a rainy matchup in the Spanish capital. Cristiano Ronaldo scored his first goal at home for five games and he even ended up with the double, as Madrid were forced to defend late against an ambitious Sporting side that seems far better than their lowly rankings would suggest. Ronaldo's first came in the 5th minute from the penalty spot, after Lucas Vasquez was tackled in the box. Ronaldo dispatched it to the left of the keeper and Madrid were off to a great start. 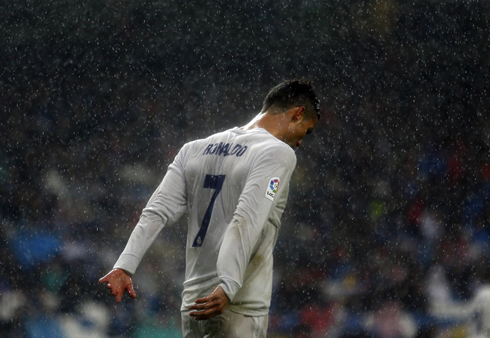 And the lead would double in the 18th minute, after Ronaldo caught onto a brilliant cross by Nacho Fernandez. However, Madrid would take their foot off the pedal and Sporting would start getting into the game a bit more. They were rewarded for their resilience in the 35th minute, with a brilliant one-time finish from Carlos Carmona. The rain continued to pour and the game became increasingly sloppy as a result. Sporting seemed to benefit more from the conditions as they began to impose their will on the game, pushing Madrid back and getting closer to goal. And their golden chance would come in the 78th minute, after Victor Rodriguez was brought down in the box by Nacho. It was a slick move from the Spaniard that confused Nacho, who then tugged at his shoulder and brought him down. With the game on the line, up stepped Duje Cop, but the Croatian skied the ball over the bar and Madrid were able to breathe as sigh of relief. Real Madrid would hold on late and are now 7 points clear of Barça on the top of the league. Barcelona travels to the Anoeta to face Real Soceidad tomorrow. La Real has four straight home victories over Barça at the moment. And of course, next week: El Clasico. Cristiano Ronaldo next game is a Copa del Rey fixture for Real Madrid on November 30 of 2016, against Cultural Leonesa. You can watch Juventus live stream, Real Madrid vs Cultural Leonesa, Real Sociedad vs Barcelona, Manchester United vs West Ham, Arsenal vs Bournemouth, and Southampton vs Everton, all matches provided from our soccer live game pages.